ATCHISON – Atchison firefighters recently learned that they will be receiving more than $100,000 from a federal grant, which will help the department buy new breathing equipment and a few sets of gear. 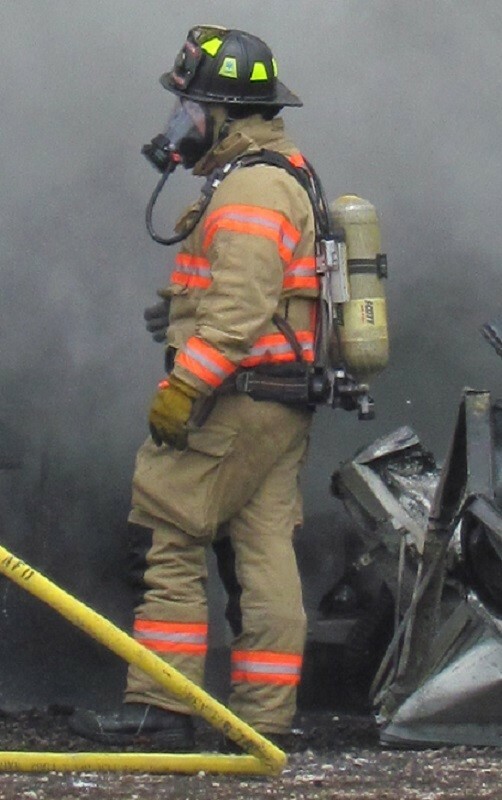 Self-contained breathing apparatus allow emergency responders to breathe during smoky or other hazardous conditions. Obviously key for firefighters, the grant, which is actually $111,585, will allow the department to replace all 18 currently operating air packs. The Atchison Fire Department will also use the grant to purchase four new sets of turnout gear, the protective equipment they wear while fighting fires. The SCBA equipment usually costs about $6,000 each, with the gear about $2,200 apiece. The grant covers 95 percent of the costs for the equipment and comes from the federally funded Assistance to Firefighters Grant. Graf said that the grant will allow his department to replace 21-year-old equipment. There were 670 grants awarded nationwide. Atchison firefighters were notified of the grant award on Friday, Aug. 17. Weishaar wrote the grant application, with help from City Finance Manager Cari Strieby and City Manager Becky Berger. Weishaar said he anticipated the grant money to be available to the department in a few weeks.